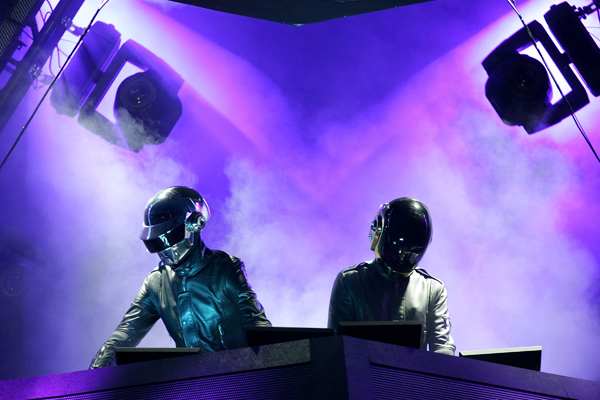 Before they composed the soundtrack to Disney's TRON Legacy (in theaters Friday, Dec. 17, 2010), the gentlemen of Daft Punk changed popular music forever. Categories like House, Electronica, Alt Dance don't begin to describe the wit and buoyancy of their soundscapes. Or the importance of their influence. The French duo of Guy-Manuel de Homem-Christo and Thomas Bangalter started out as ordinary rock and rollers, producing a few tracks Melody Maker famously dismissed as 'daft punk." They joyfully named themselves after this insult, started playing around with drum machines, keyboards, computers, and, yes, guitars, and produced so many important tunes from the mid-nineties to now, my colleague Keyvon Pierre, an LA native who DJs around the city under the alias Kool Ethan, and I had to work hard to pare the list to ten. He points out that, "Daft Punk may be the most influential band on the planet. They are the cool big brother that every baby band looks up to. Daft Punk supported Kanye when he performed 'Stronger' at the Grammys." Although technically a side project of Bangalter's, not official Daft Punk, Stardust is so fantastic, we put it on the list. DJ testimonial: "This always gets the party going and fits perfectly next to any 80s Madonna pop song." Try it for your holiday gathering. It's been a tough year. Your guests could use the lift it gives. The Michel Gondry video for this song features a boy building a model plane that flies all the way to a cloud where the music makers are hanging out. The synergy between childhood hopes and adult creativity is perfectly realized. 9. One More Time (Discovery) Overwhelmingly popular, this great song introduced huge numbers to Daft Punk. We often take for granted tracks that got as much play as this one, but if listeners heard it for the first time in 2010, you can bet it would be named a stand-out tune of the year. 8. Rollin' and Scratchin' (Homework) A DP anti-pop anthem. Keyvon: "I really appreciate a DJ who can mix this noise music into a set. This song also really lives up to the band's name. It is pure daft punk." 7. Too Long (Discovery) and/or Burnin'/Too Long (Alive 2007) The epic ten-minute running time that gives this track its descriptive name allows for an unfolding and build that Daft Punk sculpts for maximum effect. 6. Something About Us (Discovery) The opening line, "It might not be the right time, I might not be the right one," and every line after it make this one of the most knowing and exquisite songs about love and attraction by any artist. 5. Television Rules the Nation/Crescendolls (Alive 2007) 'Alive 2007' won the Grammy for Best Dance/Electronica and this is the stand-out track on an album filled with refreshment, innovation, epiphany. 4. Robot Rock (Human After All) "This track is just a beast," raves Keyvon. "Super dancey, party starter. And the original track 'Release the Beast' by Breakwater which Daft Punk sampled is worth hearing as well." 2005's 'Human After All' was disliked by many critics and is the least jaw-dropping of the three Daft Punk studio albums. Even so, Keyvon points out that "it remains a huge influence on the DJs and producers in the Electro blog scene." 2. Around the World (Homework) One of the most legendary dance songs ever. The indelible Michel Gondry-directed video with dancers as skeletons, mummies, robots, bathing beauties, "athletes with small heads" is preposterous, mesmerizing, beautiful beyond reason. A strong contender for best song of its decade, its famous repetitions just keep paying off thanks to the insistent dance beat. There is no official video for this song and it was never released as a single, but it may be the most famous Daft Punk song of all. Because a brilliant concept, structure, and lyrics ride on top of the best dance beat ever, this tops the list. Amazing. 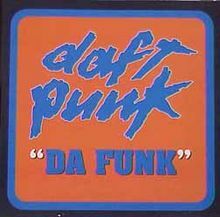 Bonus: Harder, Better, Faster, Stronger (Neptunes Remix) [Daft Club] The Neptunes added vocals and rearranged the track. Also outstanding. Listen to all 10-plus tracks at Keyvon Pierre's website. When not spinning. Keyvon Pierre is taking photos at the biggest concerts in Los Angeles or making music videos that can be viewed on his site. Author S.X. Rosenstock operates http://www.littlebiggerroom.com, devoted to music/poetry/meaning . . . served in a snark-free zone.